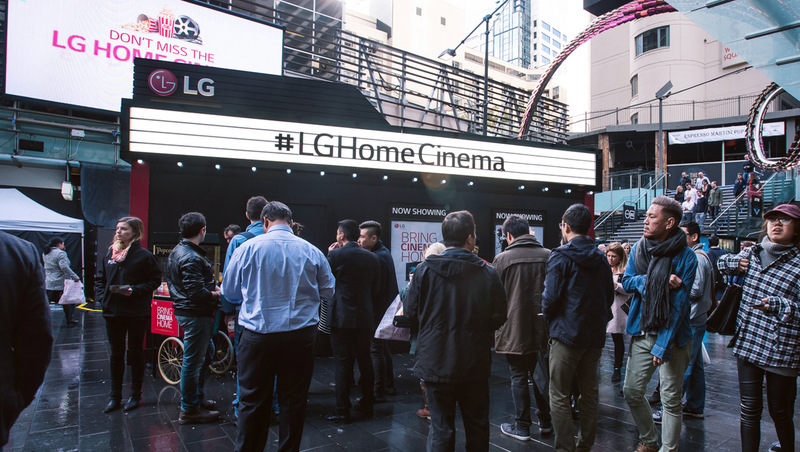 We were briefed by LG to develop a high impact through-the-line campaign challenging Australians to experiencethe cinematic performance of their two top of the range TVs – OLED and SUPER UHD. Going against big rival brands such as Samsung and Sony, LG needed an innovative and motivating communication strategy to both challenge and educate the consumer in an entertaining way. Most of the leading TV manufacturers traditionally build big budget campaigns around design features (flat or curved screens) or new technology (advancements in colour, contrast and sound). In this highly competitive arena we wanted to focus on a simple, easy to grasp benefit of OLED and SUPER UHD TVs – that they bring a spectacular and truly cinematic experience to the home. 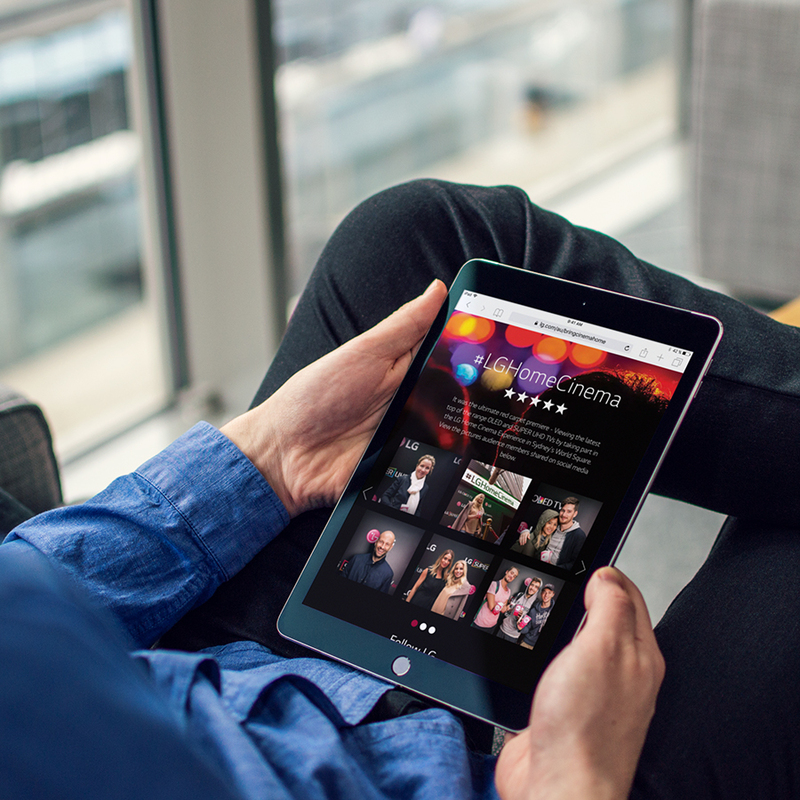 Our strategy was to create a unifying message and launch experience that would feel genuinely fresh and engage large numbers of people in the real world and online. 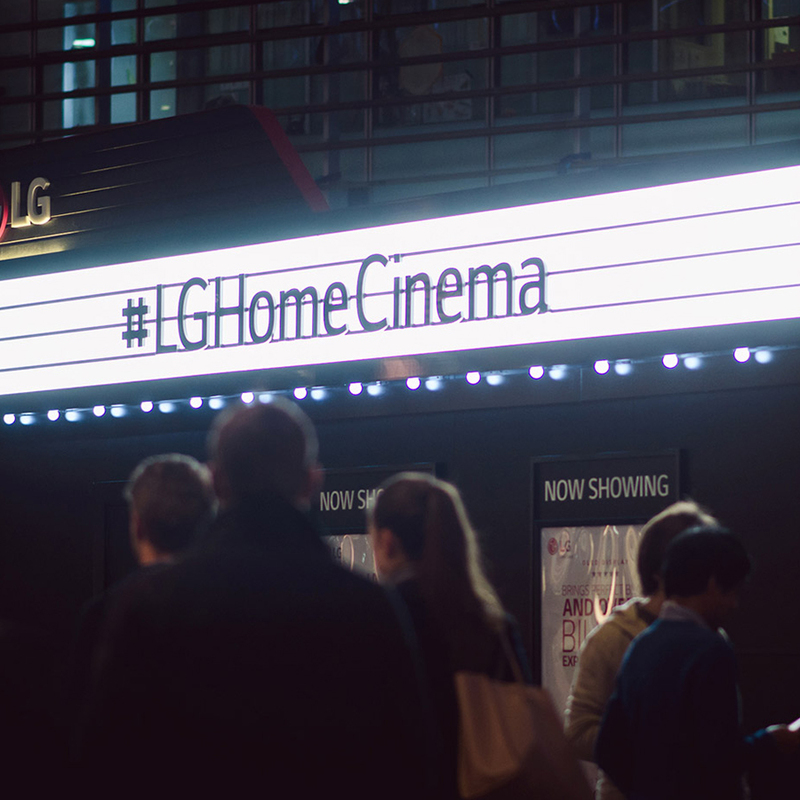 We created a call to action; BRING CINEMA HOME and developed a campaign that would align LG TVs with genuine cinematic experiences. To achieve this, we designed a full size, highly realistic pop-up cinema with authentic seating and signage. 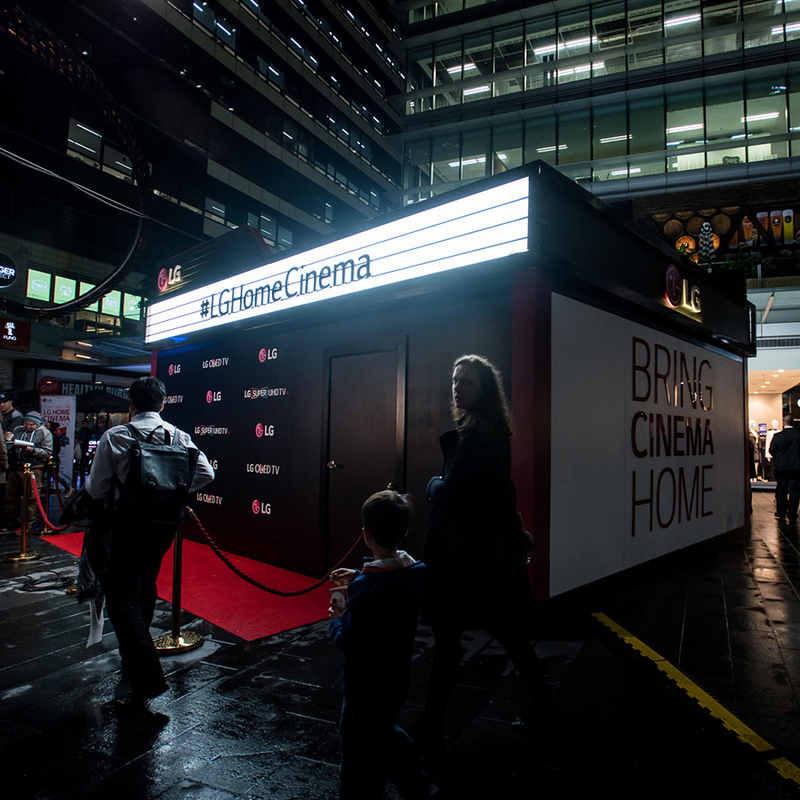 The cinema was then built in Sydney’s World Square and its arrival announced via social media channels. In addition to the cinema, we hired a promo team dressed as ushers to hand out popcorn and flyers and direct people to their seats. We created a short edited film sequence to focus the audience’s attention on the cinematic qualities of the OLED or SUPER UHD TV they were viewing. After each performance, their candid, unscripted responses were filmed for content and a TV campaign. We also ran a competition encouraging people to share video and images on Facebook, Instagram, YouTube and Snapchat. 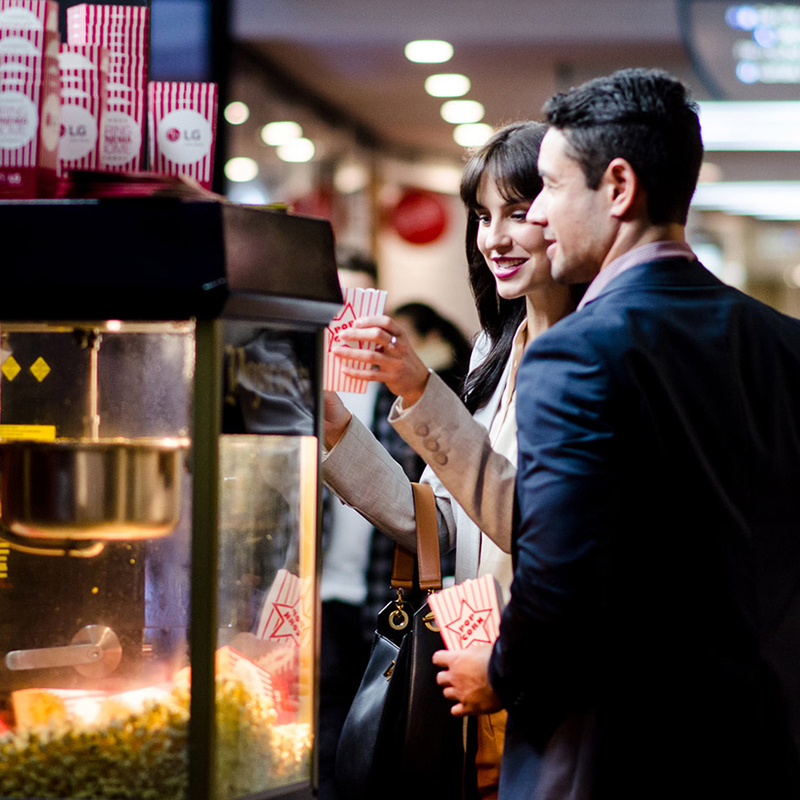 Alongside the launch experience, ‘BRING CINEMA HOME appeared across billboards, digital and in-store POS. 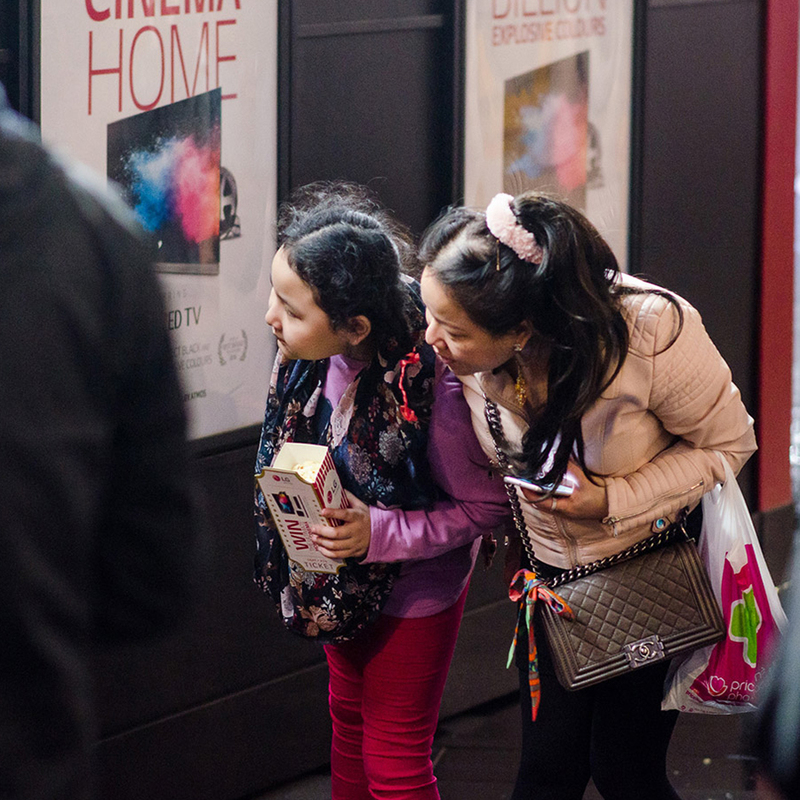 The campaign attracted extremely positive reactions from all those who visited the pop up cinema and took part in the experience. 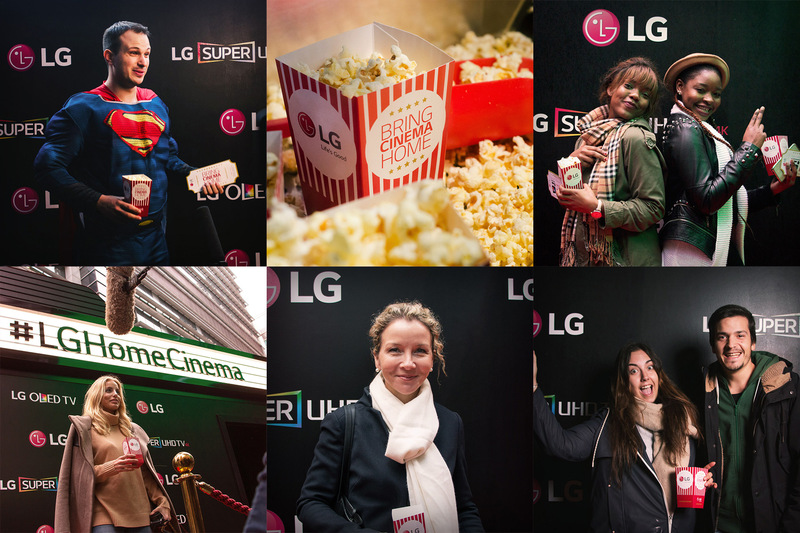 LG were so pleased with the response that they are planning to recreate it in several new locations. The campaign proved to be an unprecedented success both in terms of participation in the launch experience and the level of engagement that followed it. 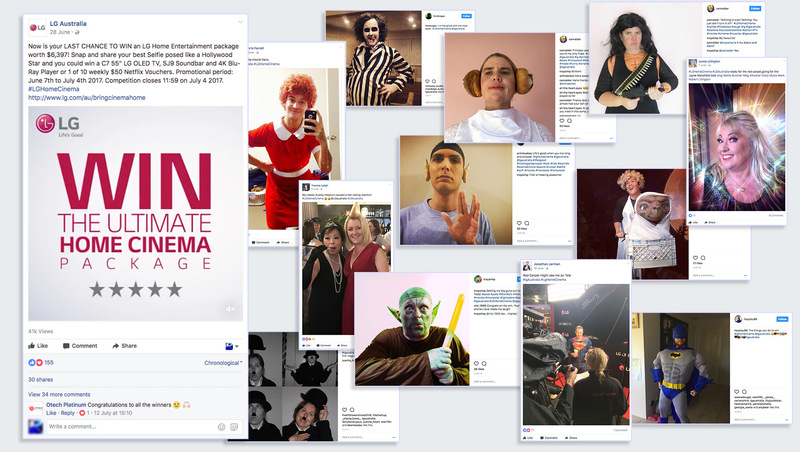 Results for the digital and social media channels proved to be particularly impressive with over a quarter of Australians interacting with the campaign in some way. 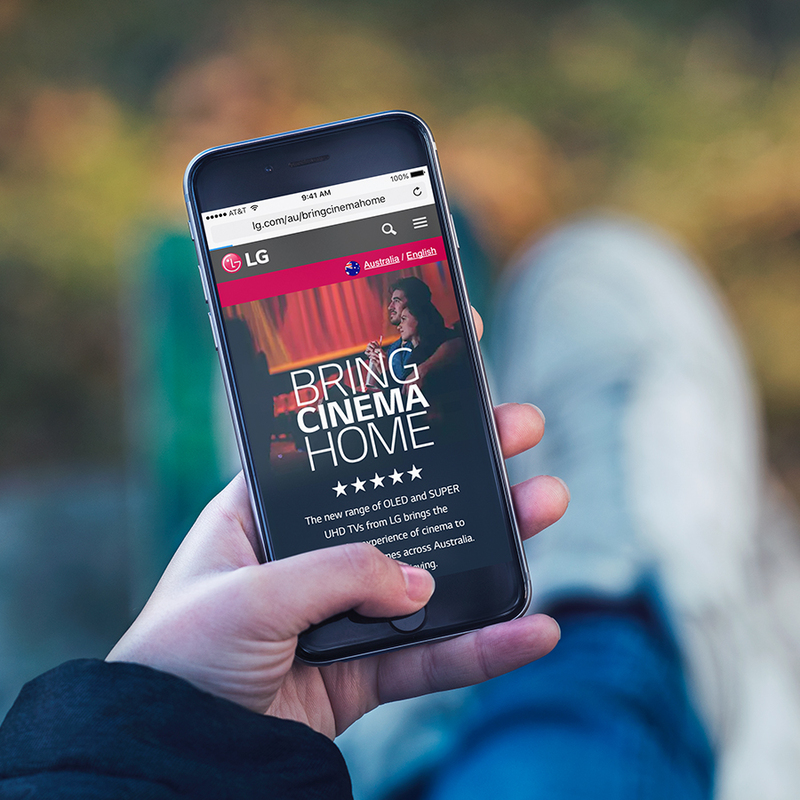 The competition promotion we launched also provoked a sharp rise in likes, shares and comments with LG’s Instagram page experiencing a staggering 551% increase in followers. 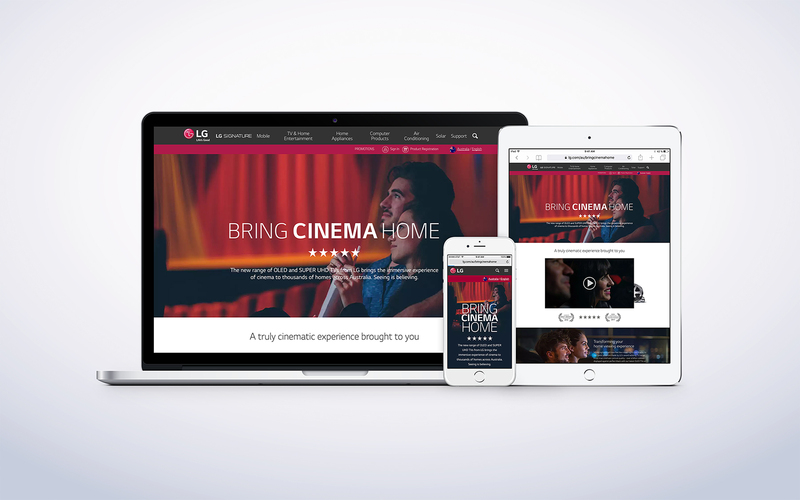 By the end of July LG’s Home Entertainment website saw a 247% increase in hits while the dedicated campaign microsite achieved a 289% increase.